Well well well, here’s a tasty little morsel that we weren’t expecting to crop up. 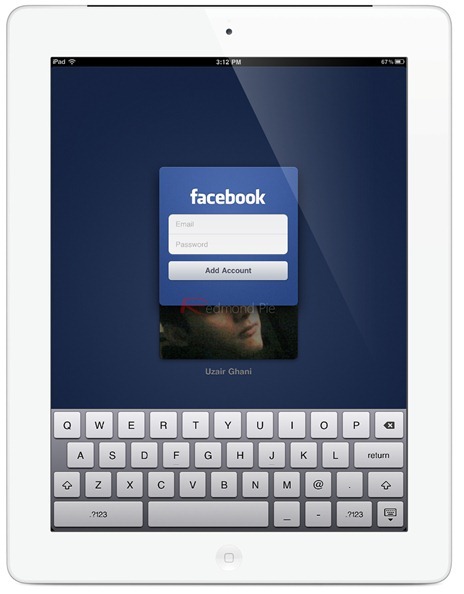 If Mashable’s Ben Parr is correct, and his sources aren’t telling him lies, Facebook is set to launch its much-anticipated iPad app during Apple’s yet to be announced special event for the release of iOS 5. This same event is expected to also play host to the iPhone 5 announcement. Mashable’s sources claim that the Facebook iPad app, which has apparently been ready since, wait for it, May, will finally see the light of day on Apple’s stage, with the two companies finally beginning to settle their differences. Apple and Facebook haven’t seen eye-to-eye since the great Ping debacle, when Apple found Facebook had pulled the plug on an agreement to link the hugely unsuccessful music-based social network to Facebook’s systems. Since then, Apple hasn’t been a fan of Zuckerberg and co., and has even gone so far as to tie Facebook’s biggest competitor, Twitter, right into iOS 5. This is a move that makes it even more surprising that Facebook could be set to share a stage with the team from Cupertino, considering what both the teams have gone through in the recent past. The same sources also believe that Facebook will bring a completely redesigned iPhone app to the party, with Facebook’s HTML5 app store also potentially set to see the light of day. Just how popular that move will be with Apple, remains to be seen, though the iDevice and Mac giant was originally very pro with web apps before its move towards the App Store model with the introduction of the iPhone 3G in 2008. We’re expecting Apple to send out invites for its iPhone 5/iOS 5 event some time soon, with the event to take place during the first week in October, and that too (if reports are true) on Apple’s very own playground: Cupertino. Will a common enemy, in the form of Google, be enough to make Facebook and Apple kiss and make up? Only time will tell.